Ginny has moved away from her Indiana home to marry Linus Lancaster, her mother’s second cousin and a man of many promises. When they arrive at his Kentucky farm, she sees that he has exaggerated his circumstances. Ginny tries to make the best of it, taking up her role as “Mother” to Cleome and Zinnia, Linus’ slaves, but things quickly turn for the worse. Linus is harsh and abusive, and their “Paradise” becomes a living hell. Strangely, as violence changes hands and methods, as the timeline is fractured and the narrators shift, the novel’s larger themes of retribution, fate, and the persistence of pain overcome the plot, and even the characters themselves. Kind One’s symbolism of the indelibility of slavery is there, immediately visible, but the novel is not aimed at moral soapboxing. Nevermind the technical beauty of the structure, the subtle use of repetition. The work soars because of Hunt’s intensely human characters which are displayed with complex compassion. The hands which are heavy may change over time, as may the victims, but pain and guilt, and, more precisely, the residual effects of pain and guilt, do not. Kind One is complicated and rich, but deceptively easy to read. The obscurity of blame and culpability, and several spine-chillingly portentous micro-stories are all delivered in a simple narrative approach, making the nearly two hundred pages fly by. I was recently able to interview Laird Hunt about his process with Kind One. Joe Trinkle: You've published five novels. Was there anything you set out to accomplish — stylistically, thematically, personally, etc. — when you began working on Kind One? Laird Hunt: Each book has come with its own concerns, its own challenges. Though I’ve never been particularly against realism (I'm just as wary of received experimentalism as I am of received traditionalism), I've long been happily associated with the more exploratory inclinations in American fiction, in large part, I think, because each book has gone in a slightly different direction, so there was always a good chance that Kind One would take its own direction too. And although in the end Kind One was much more of an exercise in voice channeling than in any particularly mechanistic endeavor (say in the vein of my last novel Ray of the Star in which each chapter is a single, sometimes very long sentence), the idea of taking on realism as a kind of constraint has been in the back of my mind for a while. Something else worth mentioning is that novels generally take so long to write that by the time I’m nearing the end of one, maybe years after I have started, I can barely remember what it is I originally set out to do. Like most people who undertake this kind of crazy enterprise, I project everything I’m thinking and feeling over time onto my novels, and hope I’m not ruining them as I do so. What do you mean exactly when you say "taking on realism as a kind of constraint"? I’ve been intrigued by constraint since I first stumbled on the Oulipians — going on 20 years ago now — whose primary goal as a movement was to come up with ways to write rather than actual pieces of writing. These ways of writing often involve “constraints” (write a book without the letter e, write a sonnet, a sestina, etc.). It struck me after a decade of various types of largely non-realist experimentation that I could use significant parts of realism’s mind-numbingly familiar recipe — rotating passages of description, dialogue, action and so forth — as the guideline I had to adhere to in writing something. Kind One resisted the constraint, took its own course, came out as a kind of fever dream, but I was trying my best through much of the writing to “do” realism. I should say that I am aware of the evolution realism has undergone since Flaubert arguably took it to its heights in the 19thcentury and that it has grown ever larger and more flexible and you know, so on, with the many, many, many decades it has been in use, but my sense of what would be interesting and maybe even useful to take on as constraint, and that I’ve just admitted I failed at, is that older, Flaubertian realism. The language of the characters in Kind One is quite distinct. How did you develop, or perhaps discover, these voices? Finding the first voice, Ginny's, was key to the whole thing: without it there would have been no Kind One. I lived in rural Indiana with my grandmother for a number of important, formative years, and while Ginny doesn’t sound like her, the way she speaks is certainly informed by that beloved voice I heard every day and at different volumes, depending on whether we were sitting together at the dinner table or she was hollering at me to come in from whatever chore she had set me or whatever fooling around I was up to. Of course part of finding a voice for a character is knowing what it wants to say, and once you get some sense of that things get easier. I knew from the start that Ginny had a dark and difficult story to tell. After I understood, early on, that she was going to be both forthcoming and reticent in her telling of it, I had a handle on how to proceed. The other voices grew out of this first one. Zinnia's was written after Ginny’s and it posed certain challenges because I didn't want this voice of an escaped slave who moved North to Chicago where she eventually worked as a teacher’s aid to sound like it was poured out of the same vernacular bottle as Ginny's. I got a great deal of help with it when I read certain slave narratives — Harriet Jacobs stunning chronicle in particular — that had been very carefully and elegantly crafted and that were carried by frank but understated voices. The other voices in the book have smaller portions of the story to tell, but there too it was important to me that they not all sound the same, even over those few pages they were accorded and even if their differences in speaking are relatively slight. I recently had a conversation with another writer about referencing history and other forms of art in contemporary literature. These connections help us link our stories into the larger fabric of narrative that people have been weaving since the beginning, but they also do something else, something that ties us back to the past, almost limiting us. In Kind One you punctuate the narrative with lines from The Tempest, and you make some allusions to Hellenic mythology and drama (the Furies, Charon, Greek tragedy motifs, etc.). How do you approach referencing classical literature/ideas within your own work? I have always, if not exclusively, been attracted to writing that seems to take time past, present and future into itself like a kind of vortex, books like The Recognitions by Gaddis or the Making of Americans by Stein or even, maybe I should say especially, Shakespeare’s plays. I tend, in general, to think of the very great works, whenever they were made, as sitting just outside of time, so that Herodotus or Sappho don’t seem very much less contemporary than the latest important writing being done in our particular moment, which is not, I think, just a question of the updating work that translation and/or reframing (Kafka wasn’t doing psychology he was doing mysticism!) can do. I once had someone suggest to me, after reading an early chapbook that proposed new versions of old myths (the way, was my hope at least, Kafka, since we are speaking of him in parantheses already, does in his Parables), that I ought to be writing about pop culture: toast and Twinkies and comics and Hotwheels and sports and beer and tv shows and divorce. In other words, I ought to be writing like everyone, or close enough to everyone, else, but in my own way. Probably it was good advice and I should have taken it. Although as I think of it maybe it helped me avoid hoping/trying to do it like Dave [Wallace], as so many of the people making lotsa noise as I came up as a writer seemed to be going for. With seriously varying, let’s face it, degrees of success. Regardless, and with nothing but respect for the too sadly departed author of Infinite Jest, it is definitely the case that many of my characters have been drawn to the wisdom of the ages, in all its guises, and that I have been happy to let them wrestle with it. Kind One is unequivocally a somber novel. Sexual abuse, violence against women and people of color, slavery—the novel is very much a meditation on sadness and suffering. What draws you to write about sadness, and why do you think it's important to do so? For years I wrote with the title to one of Yasunari Kawabata’s novels — Beauty and Sadness, in its English translation — printed on a postcard above my desk. I have only stopped writing with it nearby because I had to store it away at some point and can’t find it and that’s the way it goes. If you have read other of my books you will have registered that I’m no stranger to hilarity and sadness either, but it is very much the case that melancholy and/or sadness are often if not quite always present in my work. What I seem really always to be writing about is loss — from someone taken by institutionalization to departed children to the smoking rubble piles at ground zero — so it is maybe not too hard to see attraction to the many hues of sadness as a kind of symptom of a desire to fill or bridge the holes that my psyche, no doubt irrevocably marked early on by my own circumstances, has found no other adequate way to address. This doesn’t mean that I think I wrote about the unpunctuated evil of antebellum slavery in Kind One because my parents split up when I was a kid and I was sent alone to live on a farm in rural Indiana with my grandmother. But it probably does speak to a certain predisposition that a look around the world — from Bangladesh to Oklahoma City to Cleveland — at any given time does nothing to assuage. You translate fiction, as well. Who are some contemporary international authors who've made an impact on you? I can’t stress enough how important it is to me to read good writing from as far afield as the limitations of general lack of interest in translation and even in books written in English outside the US makes possible. Most of the classes I teach have as many or more books on the syllabus that were written abroad as they do domestic titles. W.G. Sebald, Ann Quin, Marie Redonnet, Magdalena Tully, Michael Ondaatje, Roberto Bolaño, Arno Bertina, Oliver Rohe, Alain Mabanckou and Ludmilla Petrushevskaya are just a few of the non-American writers who have amplified my sense of the possible within the bounds of fiction. I hope you will forgive me if I slipped the name of a deceased writer or two onto that list. 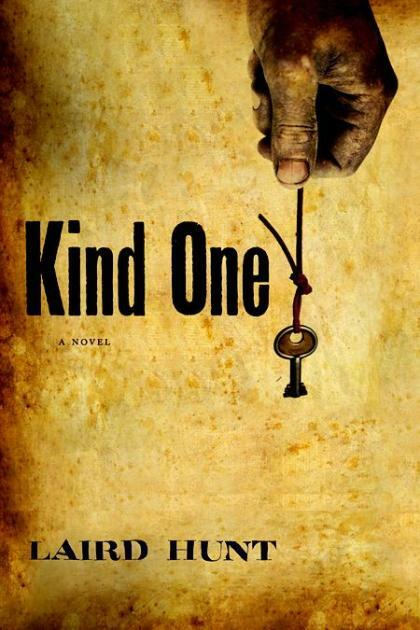 Kind One was a finalist for the 2013 Pen/Faulkner award and the winner of a 2013 Anisfield-Wolf Book Award for Fiction. Does the success of a novel change your personal relationship with it? I took a few stabs at this question and erased them. I’ve never had even this kind of relative award-related success with a novel before so the best answer probably is I don’t know. The book comes out in France and Spain and maybe elsewhere in the next year so it still feels very much like it’s in play. I may have a better answer to this question in a couple of years. The book is still burning for me, it is still alive. You're doing a Lannan residency this summer. What will you be working on? Right this second I’m battling with a sci-fi story of sorts, but don’t yet know if it will have the legs to still be in progress in August when I’m at Marfa. I’m sure to be revising a couple of mss. that I recently completed advanced drafts of. One of them is a Civil War book. I should probably say a Civil War book of sorts. Or kind of a Civil War book. It’s all kind of with me. Interviewer bio: Joe Trinkle lives in Philadelphia. His writing has appeared or is forthcoming in Necessary Fiction, Pear Noir!, Atticus Review, HTMLGIANT, and elsewhere. He is the author of White on White, a collection of short stories due out this fall. You can find him on the Internet.